Peals of tinkling laughter filled the living room. Nim and Lil were celebrating the return of Lil’s magic by streaming around the room throwing paper, ribbon, confetti and glitter…everywhere. A little out of breath, the two elves stopped and hovered over the jumbled mess they had just made. Their eyes grew wide and their mouths fell open. “I guess we got a little carried away,” said Nim, merriment in his eyes. Lil twirled in mid air, somersaulted across the room, bounced on the couches and tumbled right into Nim, knocking his hat off. They started to pick up the ribbon, paper and bows. Lil, using pixie dust, pulled the vacuum cleaner into the living room and ran it across the floor, sucking up glitter and confetti. He buzzed down to his hat and tried to pull it out. Lil shut the cleaner off and floated down to help him. “What are you doing?” asked Nim as he watched Lil speed back up to the vacuum with his hat. Nim wasn’t sure how much he liked this idea. Nim shook his head, getting it wedged further into the filter. 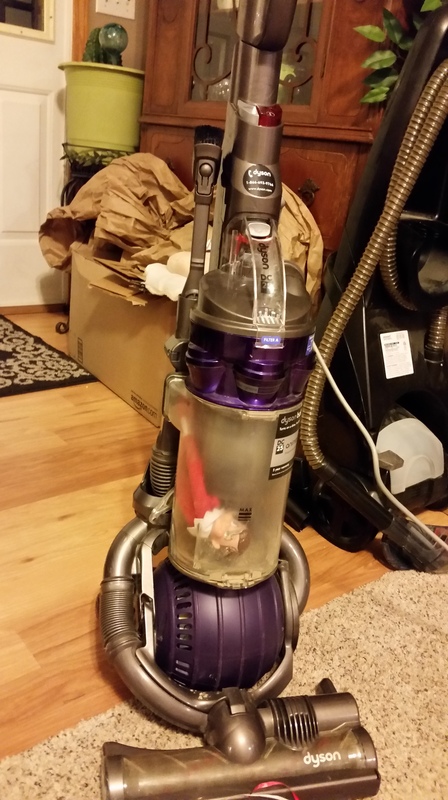 He had said, “Good thing this doesn’t lose suction,” but Lil couldn’t understand him through the plastic. Lil grinned mischievously and picked up Nim’s hat. 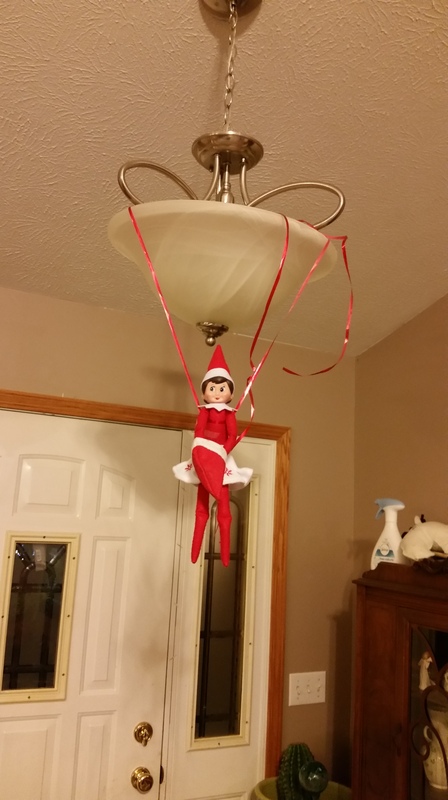 She flew up to the light fixture above the vacuum with a piece of ribbon. “This is going to be so funny!” she called down to Nim. But he could barely hear her. “It’s going to be a long day,” he mumbled.